Last Wednesday, 24 October was United Nations Day. 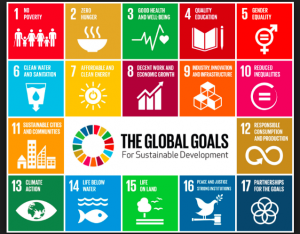 I wish to highlight the day as many of our learning contexts this year have been linked to the UN Sustainable Development Goals (SDG’s) which were designed by the United Nations. The 17 goals range from eliminating poverty to climate action and provide our students with a strong focus or direction for their learning. We believe at MHJC that learning should be authentic. This means it has purpose and be relevant to the student. Developing a strong community conscience and desire to make a difference within students are goals we hold dear hence my desire to bring the SDG’s to the attention of the community.